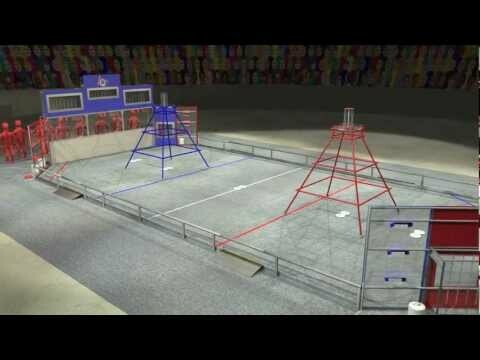 The Championship is the culmination of the season's programs, bringing together three separate robotics competitions for the ultimate Sport for the Mind. The event includes the Robotics Competition Championship, the Tech Challenge World Championship, and the LEGO League World Festival. Also featured is the Junior LEGO League World Festival Expo. Simbotics, Team 1114 entered the 2013 season after an amazing 2012 season where we were recognized with a spot in the FIRST Hall of Fame as Championship’s Chairman’s Award Winners and trip to Einstein with our friends from 2056 OP Robotics and 4334 Alberta Tech Alliance, The “Eh” team.